Hold on - the weekend is near. Very cool! Love the drop! Wonderful comp and capture of the drop. I thought the same thing Deb did...oriental somehow. I love the waterdrop! Creative -- looks very Japanese. What a wonderful caption for this shot. Great capture. Yeah!!!!!!!!!!!!!!!! The weekend is almost here. I've finally gotten home from Bham Alabama - looking forward to a weekend with a fellow photographer. 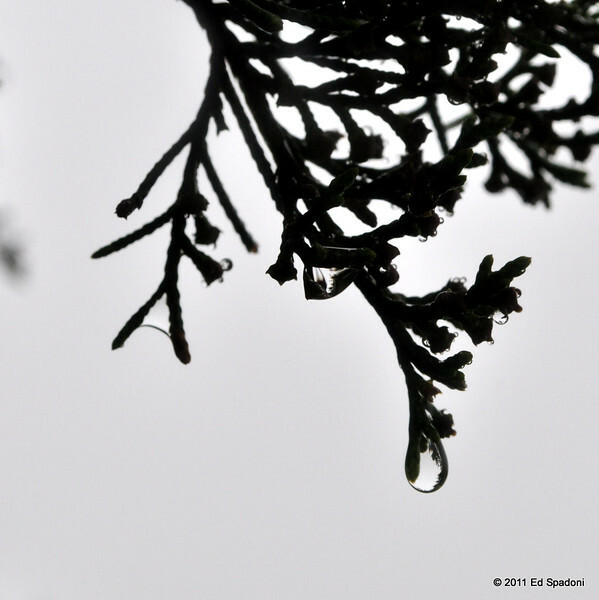 This is a wonderful shot Ed, I love how the water droplet is hanging on to the end of the branch. Great eye to see this. I'm enjoying your blog too.